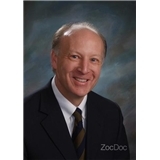 Ivan Flint, MD (Salt Lake City) - Book Appointment Online! Welcome! The dermatology professionals at Dr. Flint Dermatology are pleased to welcome you to our practice. We want all our patients to be informed decision makers and fully understand any health issues you face. We know how hectic life can be and are committed to making our practice convenient and accessible. And we want you to feel confident that when you choose Dr. Flint Dermatology, you’re working with doctors and other professionals who are qualified, experienced and caring. Quick and easy, with awesome pharmacy recommendations!